Stunning 24ct. 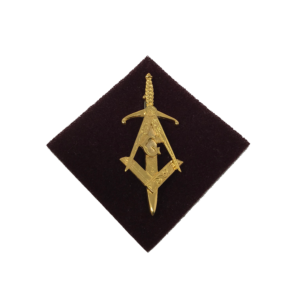 Gold Plated Sgian Dubh with Scottish masonic design. This stunning 24ct. 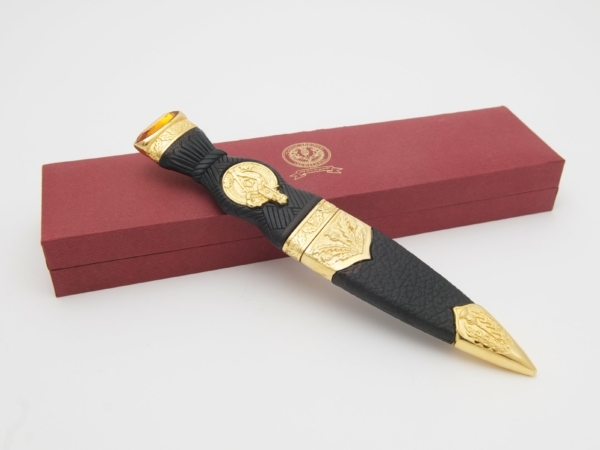 Gold Plated Sgian Dubh contains the Scottish masonic design with the square and compasses encapsulating the letter G and was hand made in Scotland. 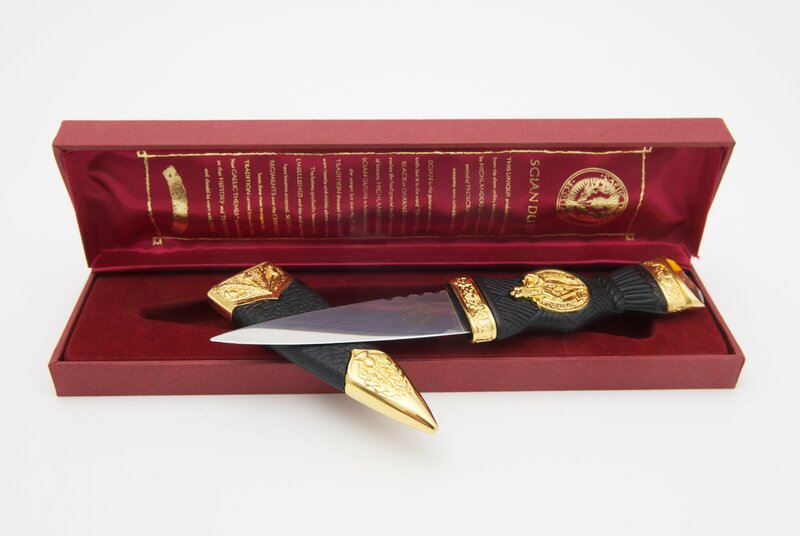 Every feature of this Sgian Dubh upholds our tradition of quality. 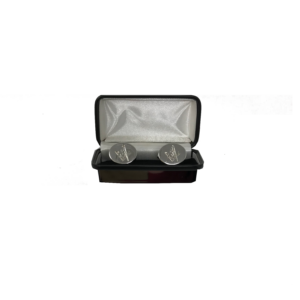 The stone for example is Gold foil backed, multi facet cut and is bezelled not claw set. 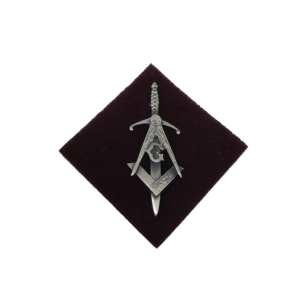 The Metalwork is traditional full 4 piece and is 100% Pewter plated in 24ct. Gold. 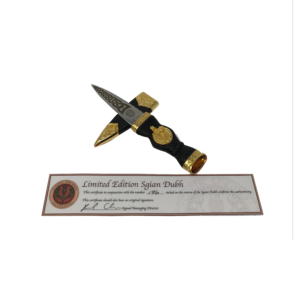 The blade is etched with a finely detailed Celtic knot and adds the finishing touch to this superb piece.